A recent trend seen by executive search consultants has been the increase in mandates from their clients to recruit Talent Acquisition executives to join their team. The increase in demand to fill these types of roles is a direct reflection of organisations getting serious about fighting the war for talent, retaining their best employees and securing the best and brightest to join their ranks. IIC Partners explores the role of Talent Acquisition Departments in enhancing, leveraging and structuring their human capital strategy in its latest IIC Partners Industry Insights White Paper. Sally Stetson, Co-Founder and Principal of Salveson Stetson Group, an executive search firm located in Philadelphia, has seen her clients react to this shift. “Companies are expanding their recruitment functions to meet demand. More employees are accepting external promotions and this creates more internal openings. We have had multiple requests to manage assignments from clients who are looking to recruit a Head of Talent Acquisition,” Stetson commented. What is a Talent Acquisition executive, and what is their role within an organisation? The Head of Talent for an organisation knows when to leverage and involve executive search firms, key stakeholders and other departments when planning hiring activities. The Head of Talent serves as a strategic advisor on the overall leadership management strategy of an organisation, works as an employment brand ambassador and manages internal succession planning solutions and the talent pipeline. A successful Head of Talent has an intimate and comprehensive understanding of all business units within a company and utilizes this strong business acumen to ensure that human capital needs are aligned with leadership demands of the future. Companies are looking for Talent Acquisition leaders who possess these consultative and advisory skills to effectively manage talent gaps and needs within an organisation. As economies grow and businesses prosper, a direct correlation can be made with the expansion of Talent Acquisition departments. This proportional growth is seen in countries such as Ireland. Ruth Curran, Managing Partner of MERC Partners in Dublin and Global Chair of IIC Partners noticed this rise in demand for Talent Acquisition professionals. “Unemployment rates in Ireland fell to a 6% low in April. This has unlocked further investment across industry sectors, and with that the need for talent and Talent Acquisition teams. This is especially prevalent in US Multinational Corporations and in EMEA Headquarter functions in Ireland,” Curran said. Barbara Stahley, Managing Director of Chadick Ellig in New York, has seen clients begin to understand the critical role of Talent Acquisition departments when it comes to effectively implementing a talent management strategy. “Clients are focused on linking Talent Acquisition directly to the full talent lifecycle at the company, as well as leveraging the function as part of a broader organisational transformation. As our clients re-evaluate their approach to identifying, attracting, onboarding and retaining talent, they understand that a successful strategy begins with Talent Acquisition,” Stahley said. In certain industries, functions and markets, the supply of talent is scarce and cannot meet growing demand. This has created a competitive environment for finding and retaining the right employees. 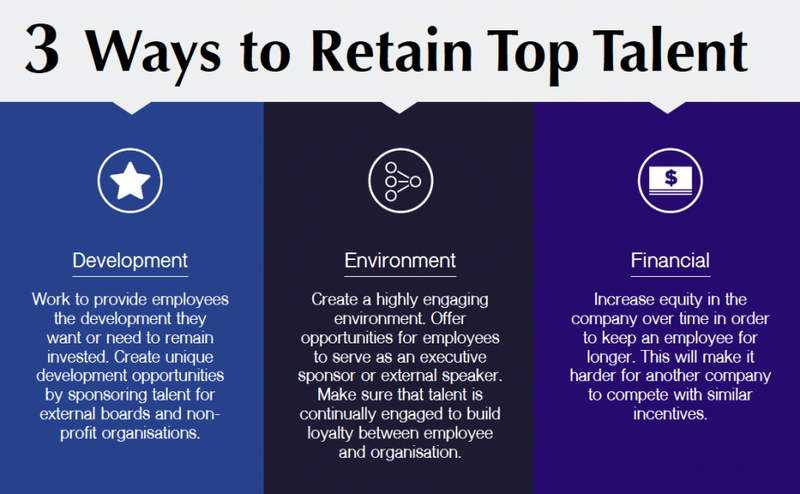 If talent is a company’s most important asset, then attracting and retaining leaders should be a critical imperative for the business. The evolution of technology and social media is changing the way companies source and hire employees. According to Michael Cox, “Everyone is searching for the same talent in the same places which inundates potential candidates with requests,” Cox said. “A great Talent Acquisition professional is a strategic asset for the organisation. They serve as an ambassador to top talent in the market by building and sustaining relationships with individuals. The attraction and acquisition of hard-to-find, top-talent is cultivated through relationships over time both by the employer at the brand level and by the talent professional. Identifying the individual is only the start of the battle. The other challenge Talent Acquisition professionals face is to convince the candidate to make the move and that their organisation should be a career destination” he added. 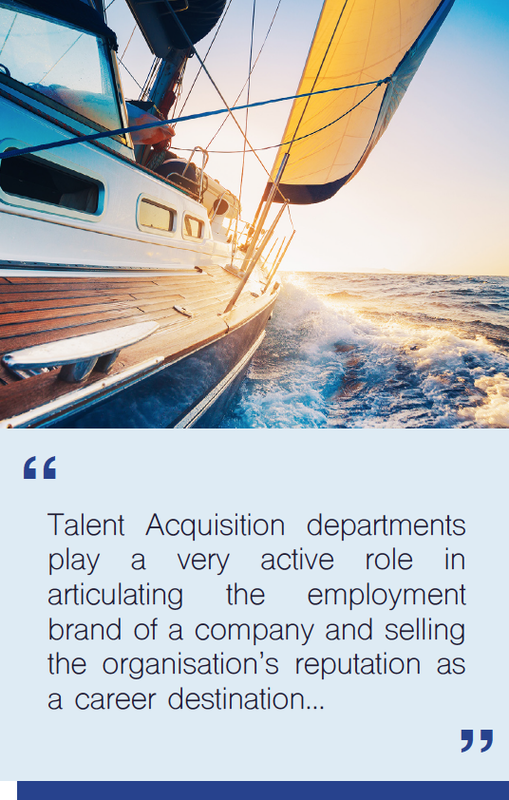 Talent Acquisition departments play a very active role in articulating the employment brand of a company and selling the organisation’s reputation as a career destination to candidates. A positive depiction of an employment brand will place a company ahead of its hiring competitors. “There is growing evidence that supports the desire for the candidate experience to be improved by an organisation’s Talent Acquisition team, and employer branding is playing more of a role in attracting talent quicker. We are now hearing the term ‘Employer Value Proposition’ more frequently in the corridors of large corporations,” Ruth Curran said. Talent Acquisition departments convey employer branding messages in two ways. The first is establishing and utilizing incentives to attract top talent to an organisation, resulting in the hiring of a new executive. The second is leveraging the newly hired executive’s influence and profile to enhance a company’s employment brand identity, and attract even more top talent. When an executive leaves a position or organisation for an external opportunity, it is the responsibility of the Talent Acquisition department to assess the departure. Understanding the motivations behind the executive’s decision to leave can provide insight to minimize future risk. During this investigation, data can be collected and analyzed to predict other departure trends and identify gaps in leadership succession. 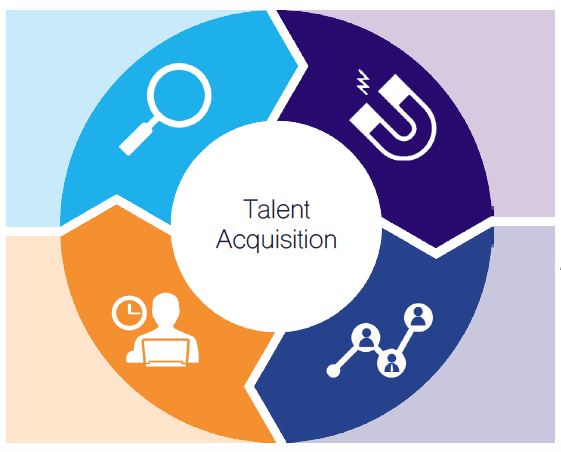 ‘Internal mobility’ has become a frequent keyword within Talent Acquisition departments. Organisations are keen to onboard individuals who will perform well in their job function but also potentially perform well in a variety of roles across the organisation. Companies are looking to promote from within more, and vertically progress employees within the organisation. “We are seeing more emphasis placed on internal succession planning by Talent Acquisition departments. More needs to be done in retaining talent in an organisation that goes beyond the traditional tools at HR’s disposal. Organisations need to do more in understanding the strata of employees in their organisation, their motivations and what values they hold as their career path evolves,” Curran said. When developing a succession plan for a position, the prospective role and candidate must have a clearly defined career roadmap. Cox notes this as a large challenge for many Talent Acquisitions departments. “The challenges we face in securing talent for today’s workforce are two-fold - succession planning of existing talent while engaging and competing for external talent in a hyper-competitive labor market. When we identify potential successors through well-developed talent management processes, it is imperative we think about the needs of the role for the future as an organisation grows and evolves. In addition to considering the organisation’s needs, we also have to consider the selected individual’s future and anticipate their subsequent moves to optimize their career and the company’s return on investment in talent,” Cox said. Executive Search firms are retained to execute higher-level mandates for more senior leadership roles, and identify external talent for succession planning. Mirko Petrelli, Partner of Stones International in Hong Kong, has seen this trend across Asia Pacific with his clients and the relationship that has arisen between internal Talent Acquisition departments and executive search. “Talent Acquisition teams are in fact replacing the success-based recruiter and managing the entire hiring process. Retained executive search consultants are still perceived as the trusted advisor who can deliver value and manage the high-level searches in a more effective way compared to Talent Acquisition departments,” Petrelli said. Talent Acquisition departments leverage executive search firms to provide support for senior level appointments. In addition, many executive search firms assist Talent Acquisition departments by offering additional services beyond traditional recruiting such as leadership assessment, talent mapping, board placement and succession planning to strengthen the overall talent management and leadership strategy of an organisation.